Polished concrete floors have many advantages over traditional flooring types. They can be dyed in many colors or have unique designs applied to create a special effect you’ll be proud of. At Diamond Rock Concrete we are highly skilled at grinding down your floor to obtain the desired degree of shine or smoothness you prefer. 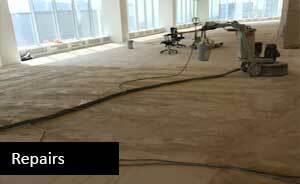 We progressively grind and polish your floor before any decorative work is done to remove imperfections and stains. Hardeners and sealers are then used to level, increase the density of, and seal your floor. In the Kitchener, London, Brantford, Hamilton regions, we install polished concrete flooring in many commercial, industrial and residential environments. The growing popularity of polished concrete flooring is due to its many benefits. Low Maintenance – A properly installed, sealed and maintained polished concrete floor can last more than a hundred years. Dirt, grime, and other debris are easily wiped off. Damp mopping once a week to remove scuffs and water marks is all that is usually required. 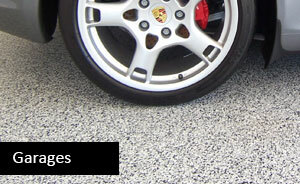 Additional maintenance may be required with other types of floor finishes. Polished concrete floors do not require any waxing or stripping to maintain the sheen. 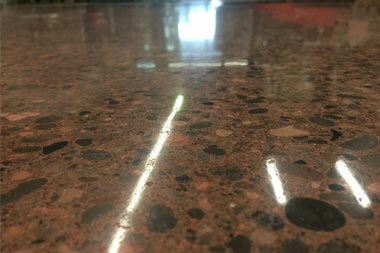 Cost Effective – The long life-span of polished concrete far surpasses that of other floor coverings. This means money can be saved as there is no need to remove and replace worn or damaged flooring. The cost savings and long life expectancy of this type of flooring make it a popular choice for offices, schools, retail stores, offices, clinics, and restaurants. 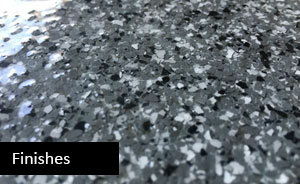 Esthetics – The choice of colors and texture effects for concrete floors is limitless. We love to bring old drab concrete surfaces to life. Sanitary – Properly polished and sealed concrete floors are non-porous meaning they prevent liquids and contaminants from getting into the concrete. This is why many health facilities as well as the hotel and hospital industries are choosing this type of flooring over others. Done properly, the surface of your floor will resist bacteria and other similar contaminants. Safety – We frequently install non-slip epoxy coatings to help prevent slips and falls. Brighter – High gloss finishes help increase ambient lighting. The increased light reflection makes this type of flooring ideal for retail outlets, showrooms, restaurants, and offices where a clean, bright, and professional image is required. Chemical & Solvent Resistant – Polished concrete floors can be sealed with a chemical-resistant epoxy to protect your floor against harsh chemicals and solvents. Environmentally Friendly – Polished concrete floors do not contain harmful Volatile Organic Compounds (VOC) unlike carpeting, wood laminate, and vinyl flooring materials. Some of the most common uses for polished concrete surfaces are retail spaces, restaurants, showrooms, warehouses, gyms, offices, hospitals, clinics, and homes. For a FREE, no obligation quote give us a call at 519-410-1057 or send us a quick email.